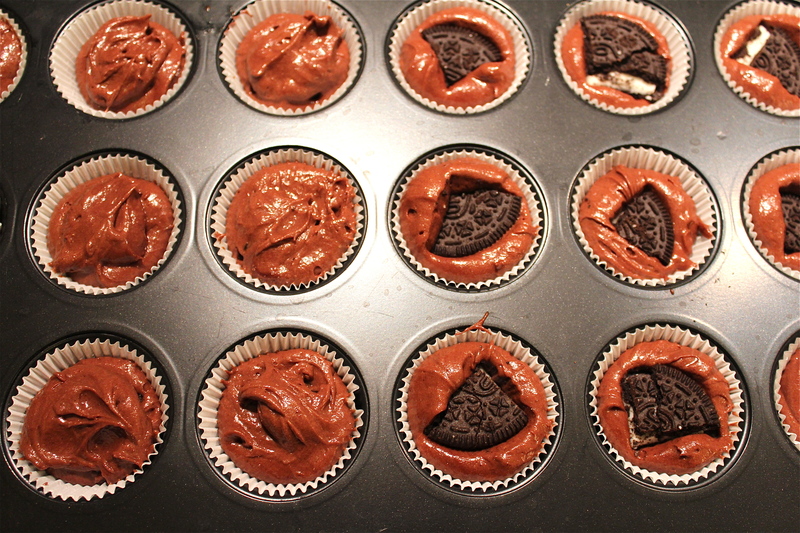 Fill the cupcake cups half with the batter, place an Oreo on top (or a quarter), then cover it with more batter. When they are cooled off, you can frost them. Mix the butter and caster sugar well. 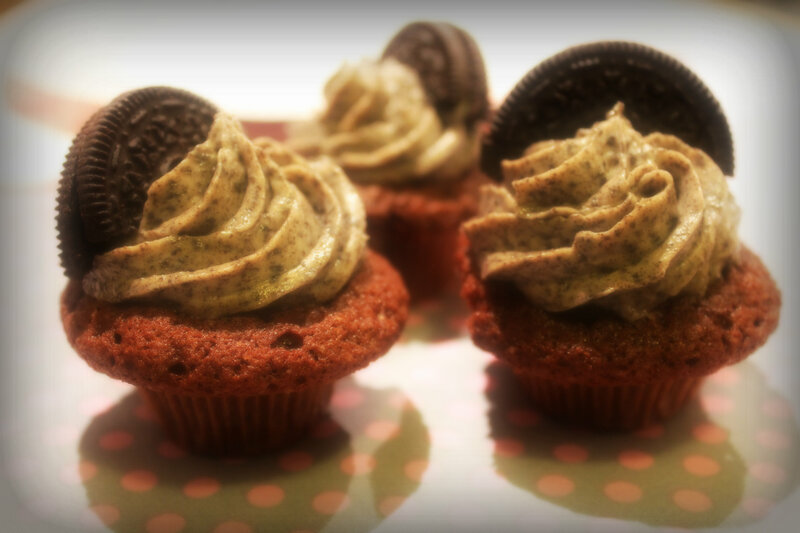 Crumble 6 Oreo cookies in a food processor and mix the crumbs to the butter. 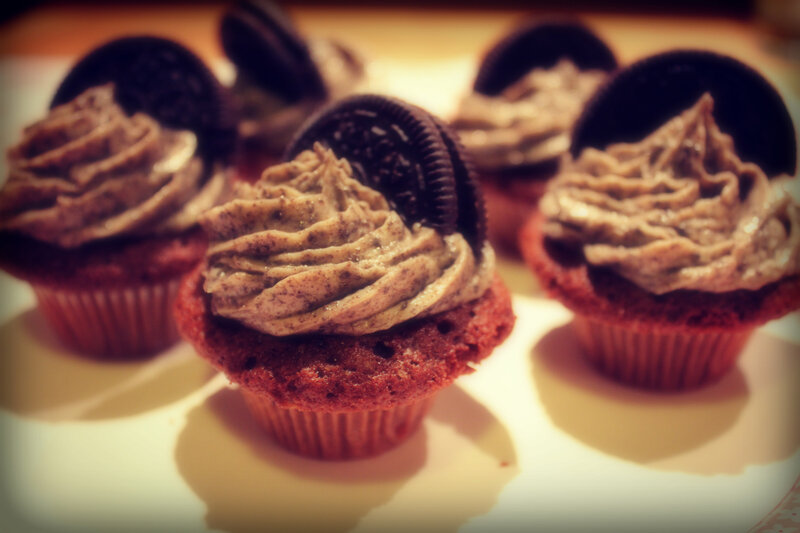 Frost the cupcakes, then decorate it with Oreo halves or Mini Oreo’s.